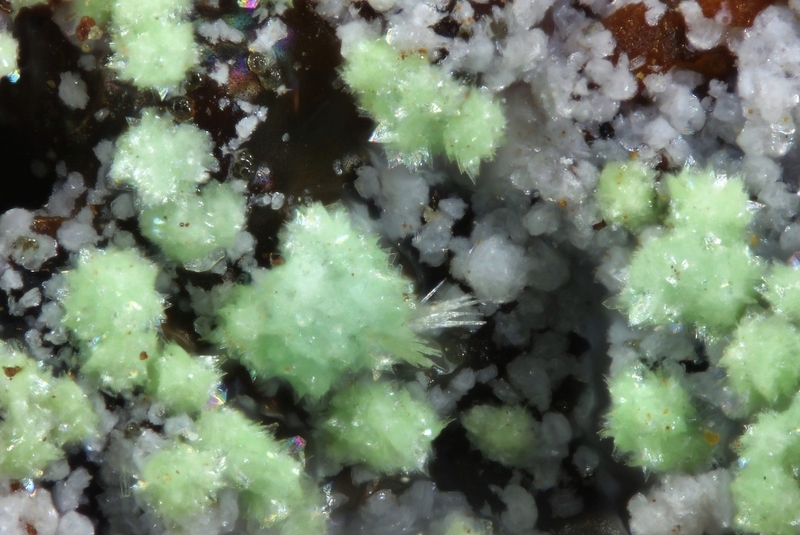 Geenish-blue crystal spheres of rare attikaite on matrix from the type locality for the species. 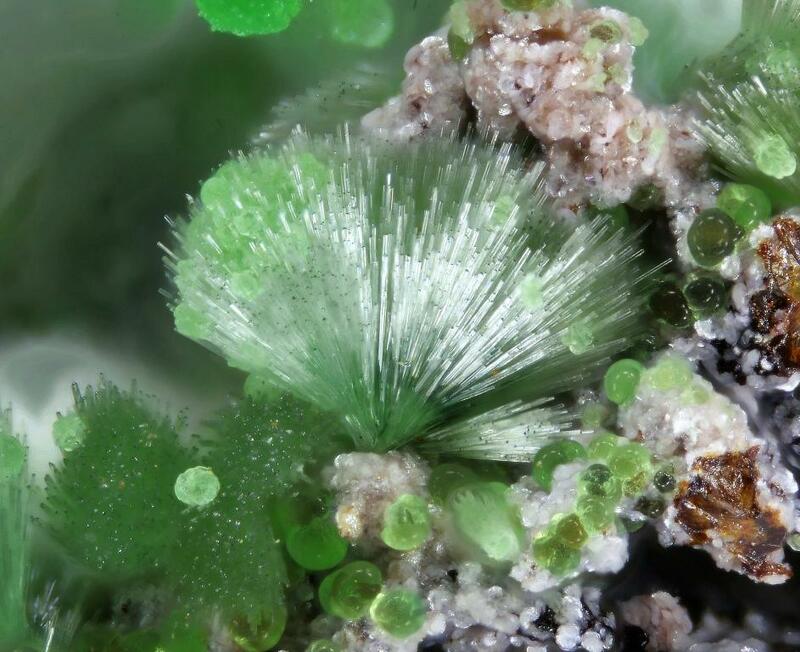 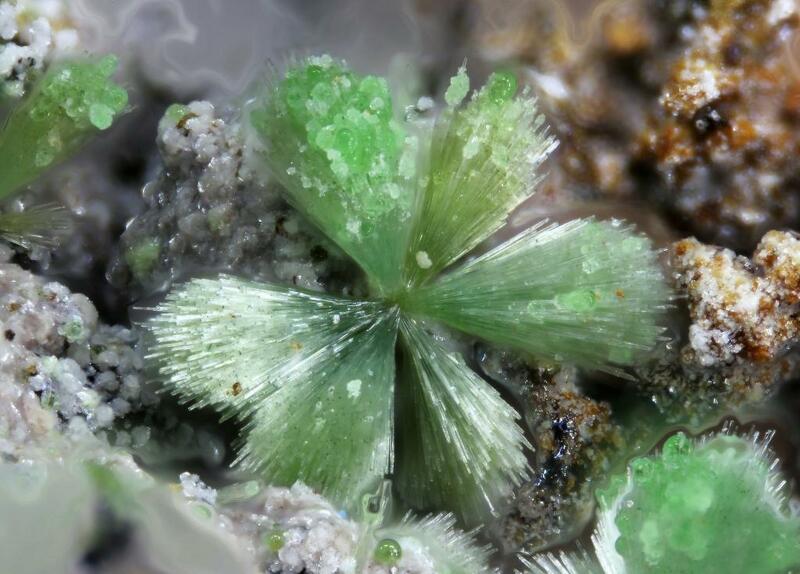 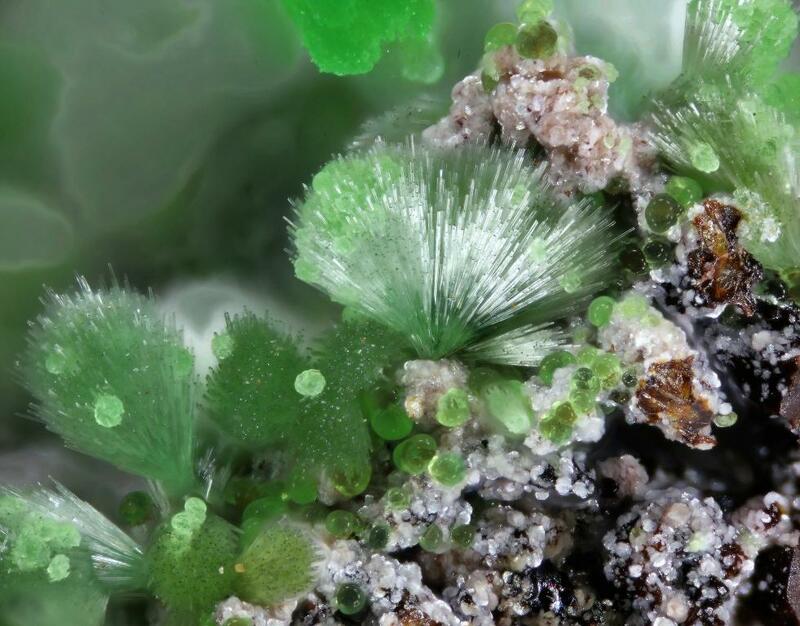 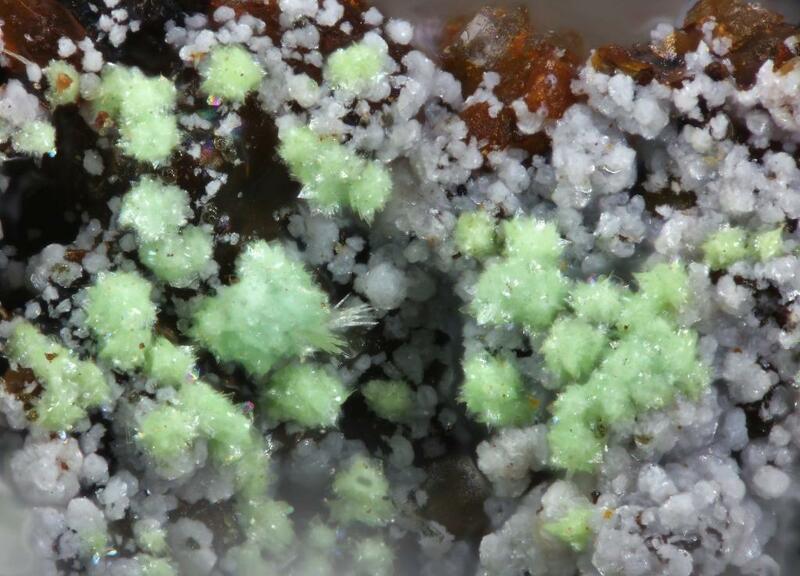 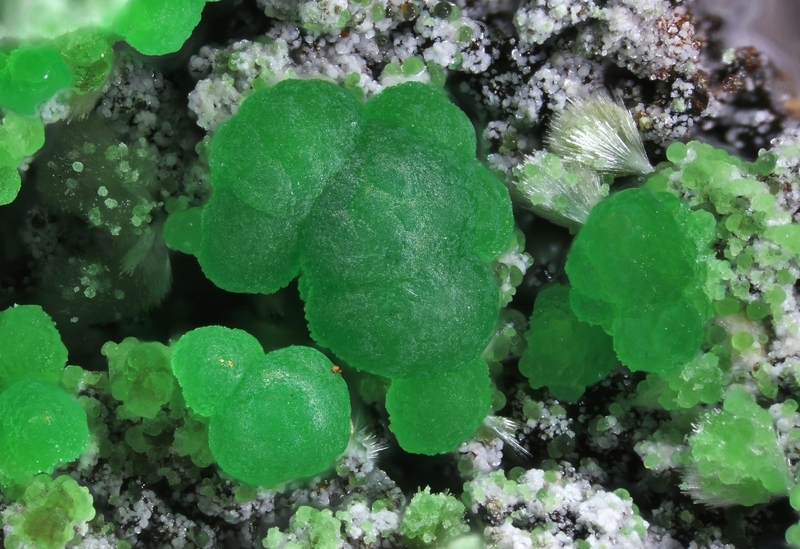 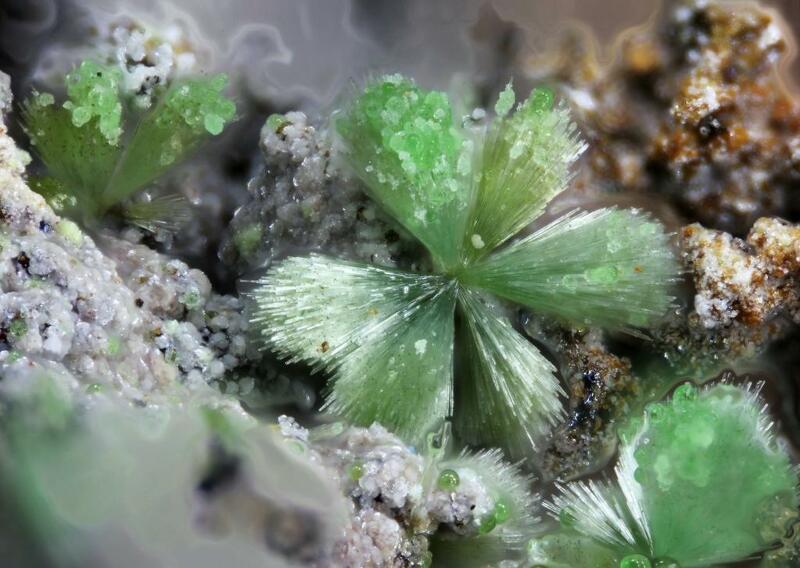 Associated with brush-like crystal aggregates of olivenite, botryoidal green conichalcite and plenty of small silky white crystals of arsenocrandallite. 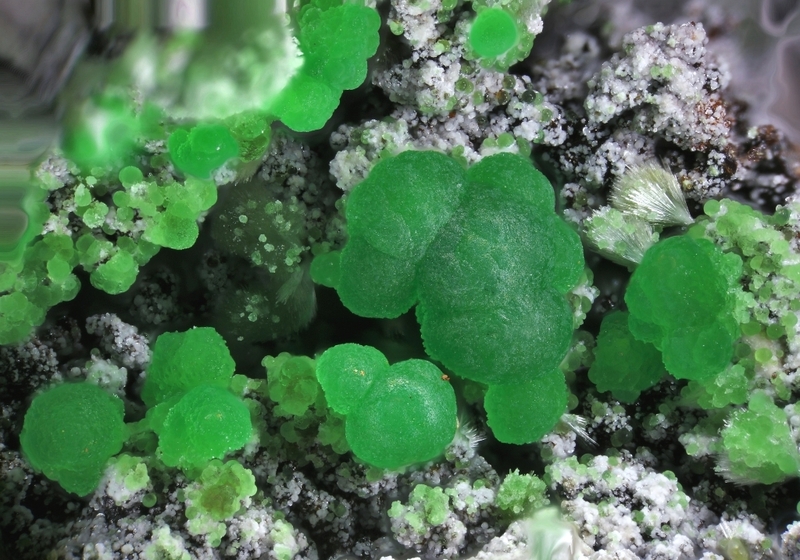 Attikaite is only known from two localities in the world. 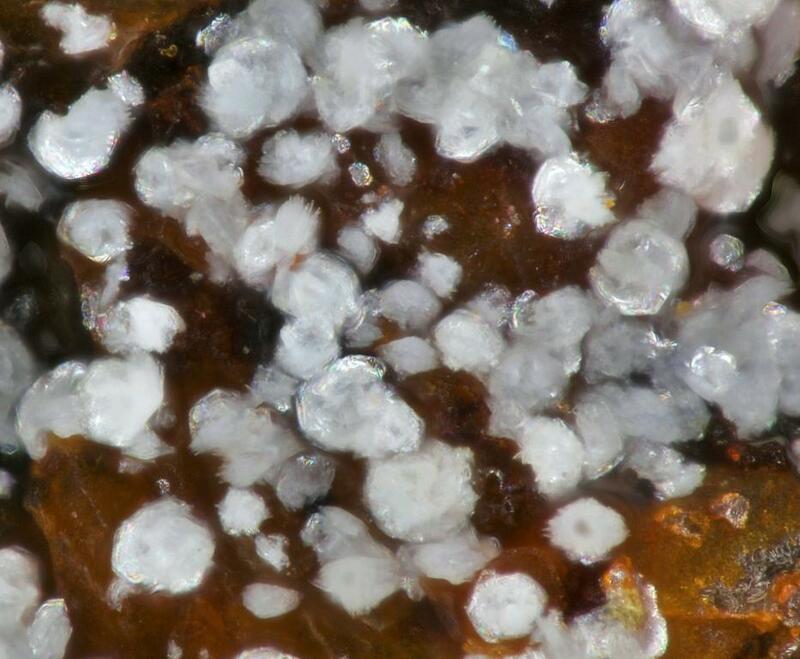 Analyzed author's material.